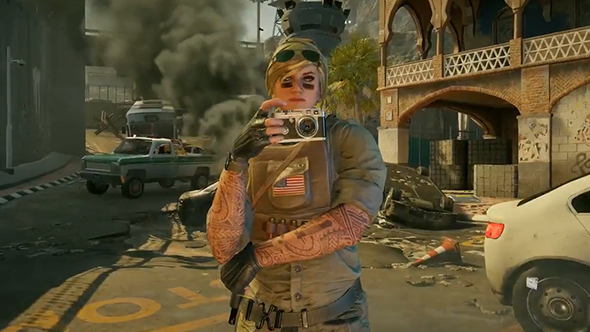 Ubisoft Esports Brazil has organised a women’s Rainbow Six Siege tournament, with the LAN final to be held at the Geek & Game Festival in Rio de Janeiro next month. The idea is to promote women players and casters in the Siege pro scene, and it’s drawn some notable talent. The first stage of the Women’s Super League is set for June 25th and 26th, with a best-of-one Swiss format, which will determine the top four teams. The finalists will travel to Brazil for the on-stage LAN best-of-three single elimination tournament, on stage during the Geek & Game Rio Festival July 20th-22nd. Fontt Energy has a women’s team ready to go, consisting of Siege veterans Lara, Thaii, Myss1, Bits, and Russa. Sao Paulo-based Squadson is also fielding a women’s Siege squad, with Negativa, Soppy, Facchine, Red, and Nina on their roster. Registration is open now, and the prize pool that teams will compete for will be 70% of registration fees for the first place finisher, and 30% going to the second place team. The tournament will also feature two female casters, Poulie and Nandabpiva. Deem as boas vindas a nossa dupla de Casters que vão narrar e comentar os jogos da Super Liga Feminina! League organisers say the goal of the tournament and the Women’s Super League itself is to encourage more women to enter Siege’s pro scene. But not everyone agrees that a separate organisation for women is the right approach, notably Goddess, Rainbow Six Siege’s first and only pro player and captain of team beastcoast. I’m not hating on them for playing, don’t get me wrong. But gender does not define your skill. So what if the demographic of video games is ran by men? Play against them and show them you’re better. Show them you can put in the same effort and time as everybody else. While Goddess has a valid point, the fact remains that she stands out as the only female pro in Siege right now – and an event that showcases top-tier women’s talent might well encourage more women to rise through the ranks.